I am pleased to announce that my new work, Waiter’s Hourglass, was featured in the Spring/Summer issue of ARTWINDSOR. 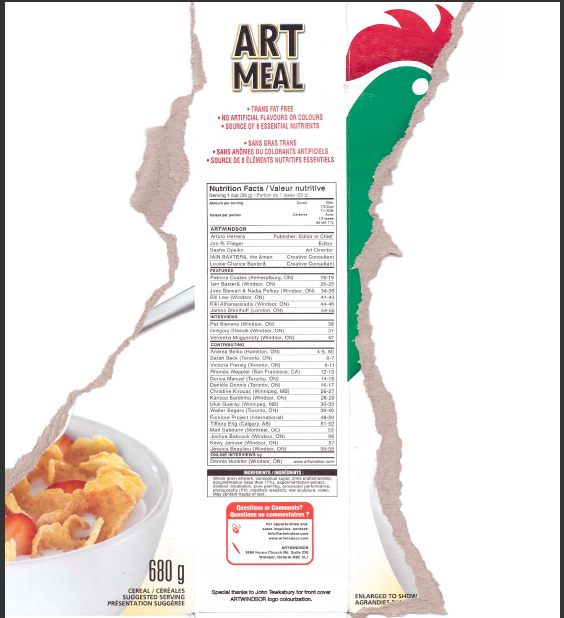 If you can’t get your hands on a copy, you can download a PDF version of artmeal. Waiter’s Hourglass was also part of the Biennial Emerging Artists Exhibition – Uncooperative at Forest City Gallery. This year addressing the theme of ‘exhaustion,’ Uncooperative speaks to creative workers’ systematic exhaustion and the realization that we are collectively bound up in the same pressures to perform based on the unrealistic, counter-productive expectations of fast-food economics: quick, effective, more.